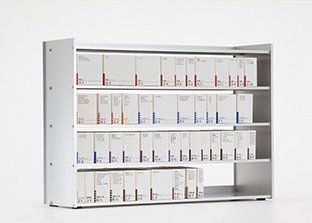 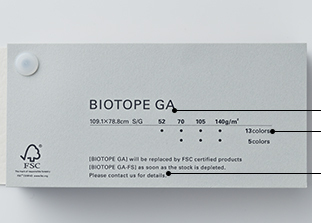 “European Collection” is the first swatch books in multi-languages (English, French and Italian) selecting 23 brands (1,100 items) these show both Japanese traditional and modern cultures on the paper such as PACHICA, BIOTOPE GA-FS and GA FILE as shown in the page of Fine Papers:Top Brands. 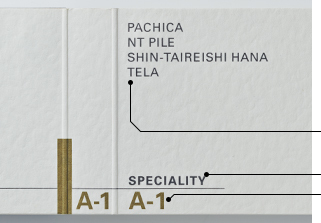 General sample book containing approximately 300 brands of Takeo Fine Paper and over 7,000 different varieties. 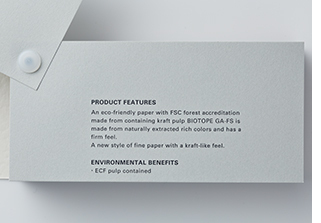 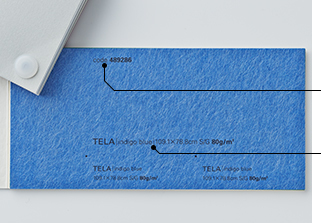 These are divided by features such as texture and characteristics into categories including Multicolor, Embossed, White Paper, and Gloss.